This collection was created to help enhance your sunset or sunrise photos, each Lightroom preset in this pack has been crafted to look great with a wide variety of images. They are carefully well-ordered, the presets range from pastel colors to vivid colors, faded, warm and moody lights. 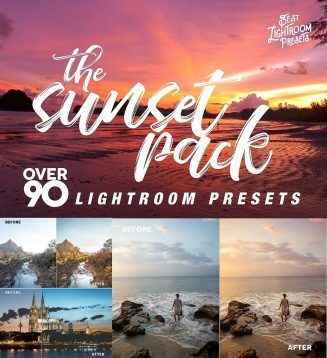 Tags: beach, lightroom, lightroom presets, photography, photoshop lightroom, sky, summer, sunset, travel preset, warm.